Olympic silver medallist Emma Pooley insists this weekend's National Championship road race is not simply a battle between her and Nicole Cooke. Cooke is bidding for her ninth successive title, and her 10th overall in Abergavenny on Saturday. 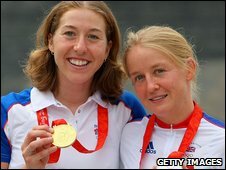 "I don't think it's just us head-to-head, there's lots of good riders," Londoner Pooley, 27, told BBC Sport. "Lizzie Armitstead did extremely well at the Tour de l'Aude so I wouldn't write off the youngsters just yet." Having seen a very young Great Britain team in action at the Tour de l'Aude around south-west France last month, Pooley is aware of the challenge from riders coming through the ranks. "It's not the Tour de France but it is the women's equivalent. It's a pretty hard stage race and a lot of them haven't done many senior races," she said. "I didn't finish it last year so just that they survived [is an achievement]. They weren't daunted by it at all and looked pretty cheerful." 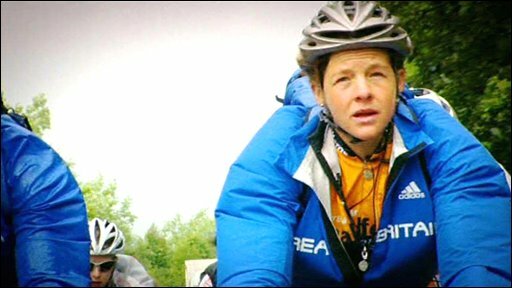 There are two characteristics that define Pooley as a cyclist: her ability to climb steep mountain roads at a breathtaking rate and her propensity for solo breakaways. Pooley has yet to become a household name - unlike Olympic road race champion Cooke and Manx sprinter Mark Cavendish. But Pooley's talents are the stuff that every rider dreams of from the moment they are first captivated by the sport. Solo victories are among the most prized in the sport: a single moment of glory that can define a career. Rarely does a rider escape in the first kilometre of a top-flight race and then stay ahead to the finish line. But that's exactly what Emma did in the World Cup event in Montreal at the end of May, finishing clear of the field by over a minute. No one, it seems, was more taken aback by the result than Pooley herself. "I wasn't really expecting it to work and I would honestly have preferred to have gone later, but my race director said surprise was important. I think everyone was surprised," she said. "It's funny because I only really win races in long solo breaks and that was the longest I've managed. "It puts other teams in a quandary because if they chase me they know one of my team-mates will attack and go, but if they don't chase me then I might stay away." That willingness to ride as a team and for each other was evident at La Grande Boucle Feminine, one of Pooley's big targets for the season. 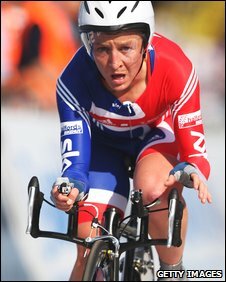 The Brit won the overall title, taking the opening time trial and stage three, while her Cervelo team worked to nullify the threat of Marianne Vos and defend her position. At the finish, Pooley's squad had claimed both the yellow and green jerseys as well as the team classification, a testament to both organisation and their teamwork. "I have to learn from my team-mates because if I stay the same, a flukey take-your-chance-if-you-can-get-them rider, that's no good to anyone else. I have to learn to be more dependable," she said. "I can still mess up, but it's different in a team like this where I have a job to do. "When the director says, 'Sit on the front for the entire criterium and absolutely knacker yourself', I do it because it's my job and I want my team-mate to win just as much as I'd want to win. "And I know that when it comes down to it, she'll do the same for me." "I'd love to win the mountains jersey in every race but it's more important that I can help the team out." Who will win the National Championships this weekend? Cervelo's list of podium finishes and victories this season are a sure sign that the squad's tactics are working. Pooley will be without her team this weekend, though and will have to depend on her own skill and wits if she is to win the national champion's jersey. It is a testament to Pooley's development as a rider and to the growth of the elite level of the women's sport that the result is not a foregone conclusion.